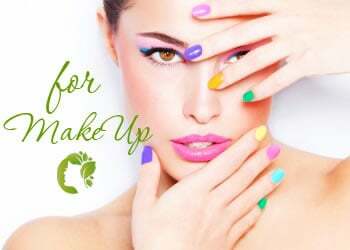 Anna Lotan Bio-Cosmetic Laboratories developer and manufacturer of exclusive, functional cosmetic products for skin care for professional cosmetologists and aestheticians, as well as for home care at their direction. 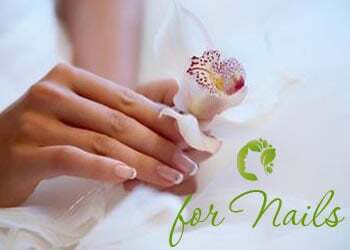 Was established by Ms. Anna Lotan acting beautician and teacher. All products are designed to work in harmony with the metabolism of the skin, with sensitivity to the needs of individual skin types and with respect to the main skin functions as a protective outer barrier. Preparations Anna Lotan Bio-Cosmetic Laboratories are designed using high-quality formulation products to solve and correct a variety of conditions and skin imperfections, such as: dry, dehydrated, oily prone to acne, hyperpigmentation, mature, sensitive, with the symptoms of rosacea, seborrhea and rosacea, skin. A light, moisturizing lotion designed to relieve skin redness. The lotion is easily absorbed leaving a calming sensation of comfort. Excellent as a moisture booster or as an after shave balm. Perfect moisture balancer for over dried skin resulting from medical acne treatments. Vitamin E and Olive Leaf Extract act as an effective antioxidant combination for the oil and water phases of the lotion, for protection against damaging free radicals and maintaining the quality of the natural constituents in the formula. An extremely moisturizing enzymatic mask of Anna Lotan with essence of Pearl powder. A premium quality Anna Lotan moisturizing day cream with optimal broadspectrum UV environmental protection. Enriched with vitamin E and Green Tea extract as natural antioxidants. Recommended for daily use, all year round, on it's own, or best over your product of choice from the greens care line. Spreads surprisingly easily, rapidly absorbed leaving no oily after feel. Micro-pigments in this lightly tinted formulation enhance the UV protection and naturally conceal uneven skin tone. Gives maximum protection from the sun's shorter UVB rays which can cause sunburn. Protects against the longer and deeper penetrating UVA rays to protect against unsightly pigmentation and premature ageing. A traditional, Anna Lotan milky daily cleanser. Excellent for daily cleansing of sensitive normal to dry skin. Gently removes makeup, leaving the skin feeling fresh and supple. An exclusive Anna Lotan hair mask for dry, chemically treated hair. Only a small quantity required. Effectively softens and smoothes hair within a few minutes. Provides excellent conditioning for damaged hair. Renders it soft and manageable. Protects it from excessive heat during blow drying. A Premium Anna Lotan BB Cream offering long lasting coverage, protection and wrinkle relaxing effect. Anna Lotan Premium BB Cream, combines concealing opacity with a light translucent veil which becomes apparent once the cream is fully absorbed. This veil allows your natural skin tone to shine through. Unlike a foundation, choosing the right shade of Premium BB cream is easy! They offer a chromatic filter that adapts to your own skin color following application. A semi-fluid Anna Lotan facial gel based on the exfoliating property of Alpha Hydroxy Acids. An ultimate blend of natural ingredients for enhancing skin’s moisture retention. Concentrated oily extracts of Chinese Zi-Cao (Lithospermum) extract and Seabuckthorn (Hippophae Ramnoides) extract enrich and sooth the skin. Contains no chemical emulsifiers to enhance the skin's moisture retention. Naturally preserved and Paraben free. A soothing, luxurious silky fluid emulsion. Softens and replenishes the skin with premium moisturizers. Provides an immediate smoothing effect with an elegant glow. 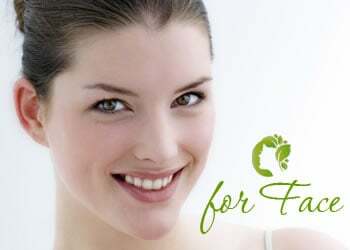 A preservative free, silky soft, skin supplement with excellent skin tolerance. Suitable for all skin types at any time. Highly spreadable fluid, easily absorbed by the skin. Leaves a velvety smooth feel without any oiliness. The ideal carrier for the sun protective Concealing Powder Foundation.